The Supreme Court on Monday agreed to hear the Central Government’s plea seeking an additional Rs 7,844 crore as compensation for victims of the Bhopal gas tragedy, from Union Carbide's successor firms. A two-judge bench of Chief Justice Ranjan Gogoi and Justice Sanjiv Khanna said the matter would be heard in April. The petition filed by the Centre has sought the said amount over and above the Rs 750 crore settlement amount paid by Union Carbide as compensation to victims of the 1984 gas tragedy. The curative petition, filed in 2011, also seeks stricter sentences for those responsible for the gas tragedy. On June 7, 2010, a Bhopal court had convicted seven executives of Union Carbide India Limited (UCIL), including the then chairman of UCIL's parent company Union Carbide Company, Warren Anderson, to two years' imprisonment in connection with the incident. Anderson, the prime accused in the case, did not appear for the trial and was declared an absconder by the Bhopal court. Alleging that UCIL had full knowledge of the “design defects and the purposeful degradation of safety precautions and maintenance,” the petition had sought stricter terms for all accused. The petition also alleged that the storage unit containing methyl isocyanate gas had serious design flaws including lack of emergency remediation facilities to counter a runaway reaction of the gas. “Even the type of stainless steel used in the methyl isocyanate gas storage tanks was sub-standard. This was seemingly motivated by the desire to increase profits with reckless disregard to human life, and the need to ensure that Union Carbide retained control even in the restrictive foreign climate existing in India at that point,” the 2010 petition alleged. 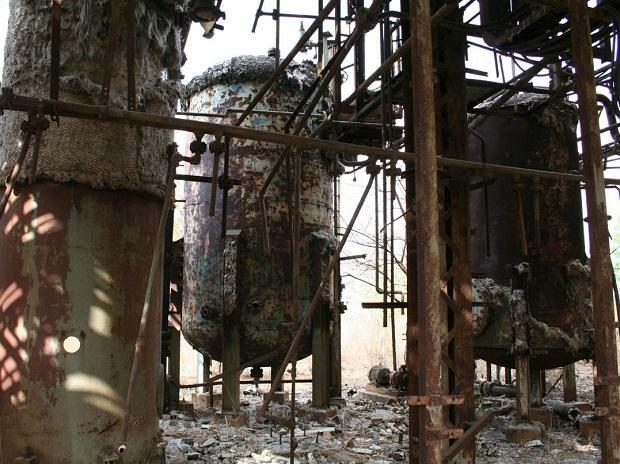 On December 2, 1984, methyl isocyanate gas had leaked from tank number E610 of the Union Carbide plant in Bhopal after the company allegedly shut off the refrigeration unit without having adequate safety measures in place. The gas leak had killed over 3,000 people and affected more than 102,000 residents of the city.